Approach G6 is a simple handheld golf GPS device that will take your game to the next level. It has a stat tracking feature that lets you monitor your progress when playing and also download the information for later review. It also records club averages and regularly updates them to make it easy for you to choose what to use in every short. This device is also very easy to use, and it has a rechargeable battery that will last for up to 15 hours. Digital Scorecard: The Approach G6 has new scoring options that let you capture vital data such as Skins, Stableford, Stroke Play and Match Play. And it also has adjustable handicaps. Stat Tracking: It has an enhanced stat tracking feature that will help a golfer to keep track of putts per round, fairways hit and greens in regulation. And the good thing is that you can check your stats during the game and also download them for later review. Club Averages: This GPS will let you update and also average how far you hit with each club, and this makes it easy for you to select the right club for every shot. Preloaded Courses: Approach G6 comes preloaded with more than 39,000 courses from across the globe and so you can be sure that you will find your local golf course. These courses are also updated regularly at no cost. Screen: The device has a glove-friendly 2.6 inches touchscreen that is rugged and waterproof. This screen is also bright enough, and it displays the info in a perfect font. Battery: It has a rechargeable lithium polymer battery that will last for up to 15 hours on a single charge meaning that it can take you through several rounds of golf. Each golfer values different things in a GPS device and so these features are what they consider beneficial. However, each device still has some things that set it apart from others. And so the greatest gain that you should expect to get from the Approach G6 is a long battery life and accuracy. In fact, you will never have to worry about the battery when playing as long as it has a full charge. Another benefit is that it allows you to download club averages and scorecard and so you will know how you perform and also the areas you need to improve. It is lightweight, and this makes it convenient to carry around for several rounds of golf. This GPS is very easy to read since it has a touchscreen and the data displays in a suitable font. The battery life is excellent, and you will not have to charge it between rounds when on the green. Approach G6 has a unique feature that lets you download your scorecard and also club averages to your computer. Comes preloaded with plenty of golf courses that are regularly updated. It does not have a feature that keeps track of your shots in real time. The screen is a little small and so making adjustments might not be very easy. You cannot easily tell how much battery life is left, and this is very inconvenient for most golfers. Cannot pick the next hole automatically like some other advanced devices. The Garmin Approach G6 is a compact GPS device with a modern touchscreen that makes it easy for you to read data and adjust it. 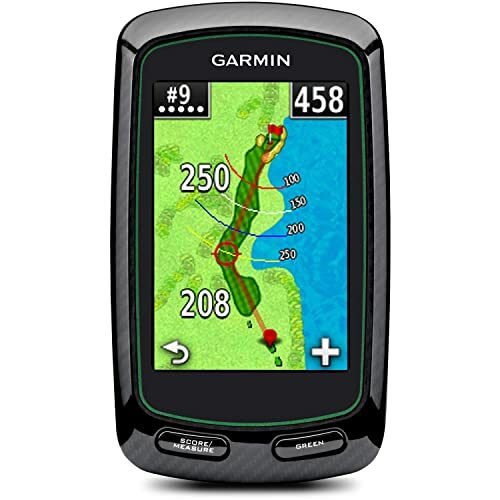 It is one of the best golf GPS from Garmin, and so you can be sure that it will serve you well. Although it has some disadvantages just like most other electronic devices the advantages that you get from it, outweigh them by far. 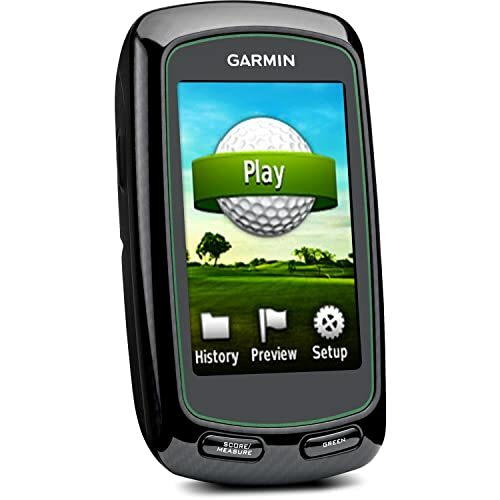 If you add this to the fact that it comes from a reputable company, you will have yourself a perfect golf GPS device.